BBC Russia named Alexander Kobrin the “Van Cliburn of today”, putting him in the front row of musicians of his generation. 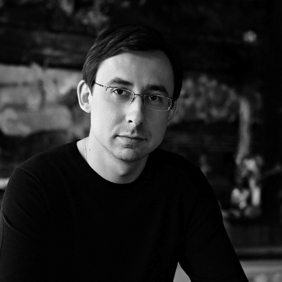 Alexander Kobrin has collaborated with many of the world’s major orchestras such as New York Philharmonic, Tokyo Philharmonic, Belgrade Philharmonic, English Chamber Orchestra, Orchestra Verdi, Orchestre de la Suisse Romande, Moscow Philharmonic, Royal Liverpool Philharmonic, Dallas Symphony, Berliner Symphony, Chicago Sinfonietta, Birmingham Symphony, Warsaw Philharmonic, Russian National Orchestra and many others. He has also collaborated with numerous leading conductors including Mikhail Pletnev, Mikhail Jurovsky, Mark Elder, Vassiliy Sinaisky, James Conlon, Claus Peter Flor, Eiji Oue, Alexander Lazarev, Yuri Bashmet. His appearances worldwide have featured recital tours in Europe, Asia and US, including annual tours in Japan and China, and performances in major halls, such as Louvre Auditorium and Salle Cortot in Paris, Wigmore Hall and Albert Hall in London, Munich Herkulesaal and Berliner Filarmonia Hall, Kennedy Centre in Washington, Avery Fisher Hall in New York, the Great Hall at the Moscow Conservatory, Sheung Wan Civic Centre in Hong Kong, as well as the Esplanade Concert Hall in Singapore, Sala Verdi in Milan… He also performed with the Beethoven Academy Orchestra, Swedish Radio Symphony, Ulster Orchestra, Deutsches Symphonie Orchester Berlin, KBS Symphony and the BBC Symphony Orchestras. In the US, he has performed with the Fort Worth Symphony, Phoenix Symphony, Florida West Coast Symphony, Fox Valley Symphony, Fairbanks Symphony, Flagstaff Symphony, Hartford Symphony, and Columbus Symphony Orchestras among others. Alexander Kobrin’s debut with the New York Philharmonic at Avery Fisher Hall and the inaugural concert of the Bethel Woods Arts Centre was hugely successful; critics praised his “lyricism, which he couched in a thoughtfully shaped, singing line,” noting, “when he addressed the barnstorming passages on their own terms, he did so with a steely edge and ample - if thoroughly controlled - force.” Other noteworthy critical acclaims include reviews in New York Times and Gramophone Magazine - describing his playing as “memorably personal and stylish” and “hypnotic.” Alexander showed the strength of music in yet another way in 2005, when he was the first to give a charity recital in New Orleans, Louisiana after hurricane Katrina. Though acclaimed as a performer, Alexander Kobrin, as a teacher, has been a true inspiration to students through his passion for music. He served on the faculty of the Gnessin’s Academy of Music from 2003 to 2010. Since 2006 he has been on the faculty of the IKIF at Mannes College of Music, and is now the “L.Rexford Whiddon Distinguished Chair in Piano” at Schwob School of Music at Columbus State University. In 2013, he joins the Artist Faculty of Steinhardt School for Piano Studies at New York University. Alexander Kobrin also regularly undertakes recording projects, working with various labels from Quartz and King Records to Harmonia Mundi and Centaur Records.